"Pick your social media style and keep in touch"
Pick your favorite social media below to receive instant updates from our site. Instant updates consist of all newly released articles on sales, marketing, recruiting, videos, e-books and any other financial planning tools that can help you become more successful in your insurance career. a free service. You can always opt out at any time. Click the GO link and receive free sales and recruiting ideas once or twice a month. As a bonus we will also include a library of all back issues and a free video on closing sales. What is an E-zine ? Sign up for an RSS feed or use your favorite browser. We will then set up a cyber-link so that you will receive every newly published article. Just click on your favorite browser. Follow us by using any of the following social media pages. Click to view. 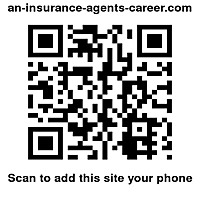 For an instant link on your mobile device you can add our site to you mobile device using this Q.R. code. Just use your bar code scanner device and snap the code. Learn why you should use social media marketing tools.